Prix Bob Calle, Whitman, etc. A little late with this post, seeing that the exhibition is already over, but still I am pleased to write that Dr. Lilian Landes of the Bayerische Staatsbibliothek and Dr. Rüdiger Hoyer of the Zentralinstitut für Kunstgeschichte proposed my book An Empty Field for the 2019 edition of the Prix Bob Calle. The 50 books that were chosen by experts from ten different European countries were shown at the library of the Beaux-Arts de Paris during March. Both the Bayerische Staatsbibliothek and the Zentralinstitut für Kunstgeschichte have substantial holdings of my work that they expanded on recently through new purchases. The Walt Whitman copy of the special edition of Song of Myself was purchased by the BSB, leaving Thoreau’s copy all by himself now, but I hear he doesn’t mind. Speaking of Whitman, the pocketbook version of Song of Myself is currently on view in the exhibition Writers Making Books at the Spruance Gallery, Arcadia University, Glenside, PA. This show was developed in conjunction with Whitman at 200, a celebration of the bicentennial of Whitman’s birth taking place across the Philadelphia and Camden, NJ region. Speaking of exhibitions, those of you interested in photo-text works could check out the small online exhibition currently up at the PHmuseum. Mariela Sancari curated this exhibition titled ‘Intertextual’ of photo-based works informed by literature. 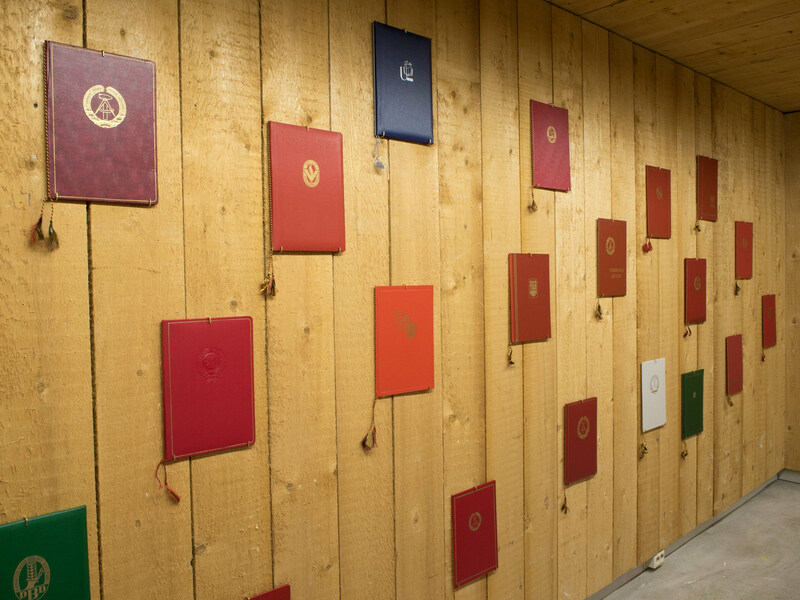 During Denver’s Month of Photography several of my bookworks will be on view at Redline Contemporary Art Center. The exhibition Delirium, Three Visions is curated by George P. Perez, John Lake and Mark Sink. It aims to highlight critical contemporary voices and amplify challenging artists working in and around modes of photography. Micah Danges, Magali Duzant, Clay Hawkley, Letha Wilson. Yumna Al-Arashi, Brenda Ann Kenneally, Sam Cannon, Colby Deal, Adán De La Garza, Gregory Jones, Jenna Maurice, Kit Ramsey, Eileen Roscina Richardson, Tate Shaw, Hollie Smith, Elisabeth Tonnard. Brian Fouhy, Marja Saleva, Sherry Wiggins, Luís Filipe Branco, Aline Smithson and The Big Picture. The exhibition runs from March 9 – April 7, 2019. Opening reception on March 9 from 6-9 PM. What was needed was a piece of pure fantasy. Above are some installation photos of The Plan as exhibited at Noorderlicht House of Photography. 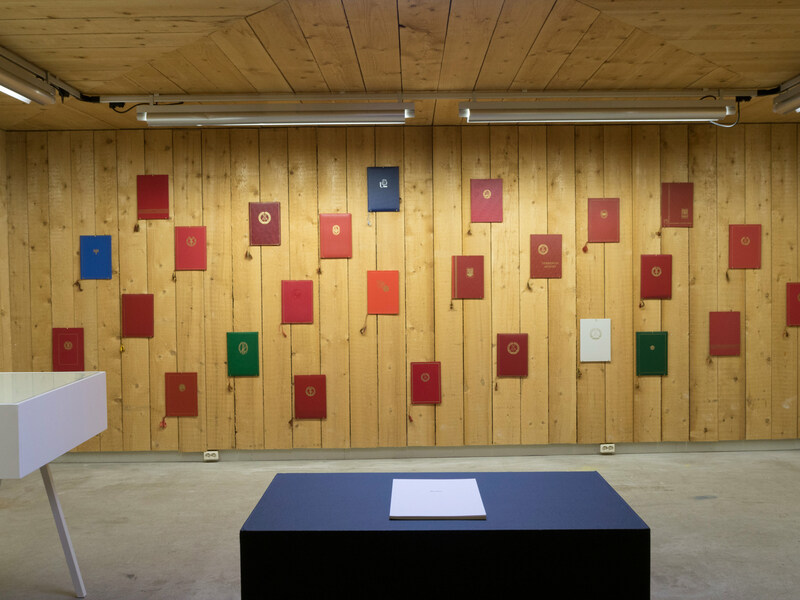 The exhibition is part of the Week of the Artist Book in Groningen. On view from October 13 to November 4 at Noorderlicht, Akerkhof 12, Groningen. Open Wednesdays-Sundays from 12.00 to 18.00. Admission is €4,- (€2,- for students). From October 13 to 20 the ‘Week of the Artist Book’ will take place in Groningen. It is organized by Stichting ARTisBOOK. During the week 25 galeries, museums, bookshops and cultural institutes will celebrate the artist book and its development from the 1960s to now through exhibitions, workshops, talks, signings etc. More information (in Dutch) about the week is available here. As part of this week my work The Plan will be exhibited at Noorderlicht. Noorderlicht will also show work by Wil van Iersel, Jan van der Til, Anouk Kruithof, Carina Hesper en Jan Dirk van der Burg. This show will continue beyond the week, until November 4. Location: Noorderlicht – Huis van de Fotografie, Akerkhof 12, Groningen. Hours: Wednesdays-Sundays from 12.00 to 18.00. Admission is €4,- (€2,- for students). Note: at the ARTisBOOKshop (see below) you can get free entree tickets. On October 19 I’ll be a speaker at the ARTisBOOK symposium. This will take place at the university library of Rijksuniversiteit Groningen. Detailed information is available in this pdf. The symposium is free to attend. Register here before October 12. At Academie Minerva An Empty Field and Enduring Freedom will be shown in the exhibition ‘Provo! Fluxus! Verzet!’ curated by Barthold Boksem. During the week several of my titles will be for sale at the ARTisBOOKshop. I’m participating in two exhibitions opening this month. FLIP — About Image Construction is curated by Kasper Andreasen and opened last week in Gent. Several of my books from the collection of KASK are on view. 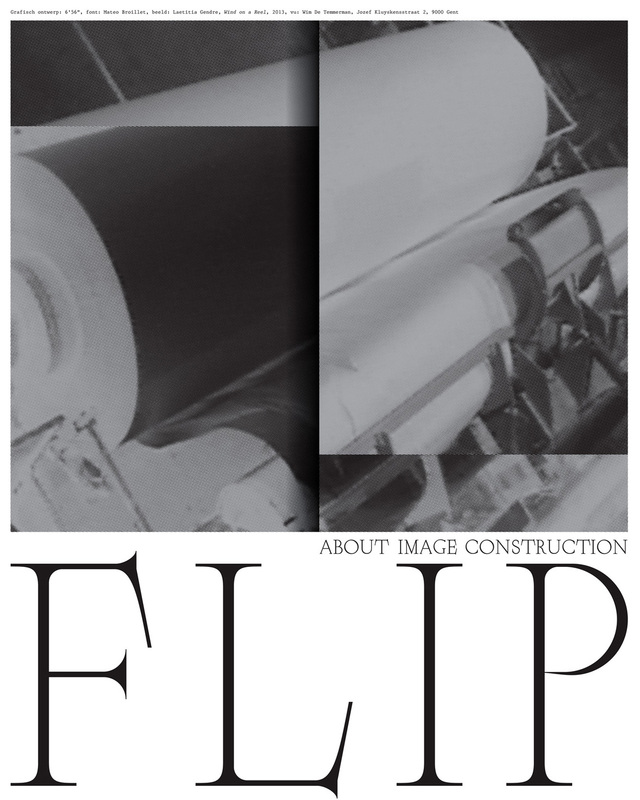 FLIP is the sequel to the exhibition Copy Construct held at CC Mechelen in 2017. The exhibition focuses on displaying a temporary archive of artists’ books parallel to about a dozen filmic works. More information about the show is available here. Location: Zwarte Zaal, KASK, Gent. Dates of the exhibition: 2 – 22 March 2018. PANORAMA 1: Tous les jours, je me dis qu’il ne faut pas que je craque is curated by Frac Provence, Alpes, Côte d’Azur and opens on March 9 in Marseille. My book The Lovers will be on view. Dates of the exhibition: March 10 – June 3. 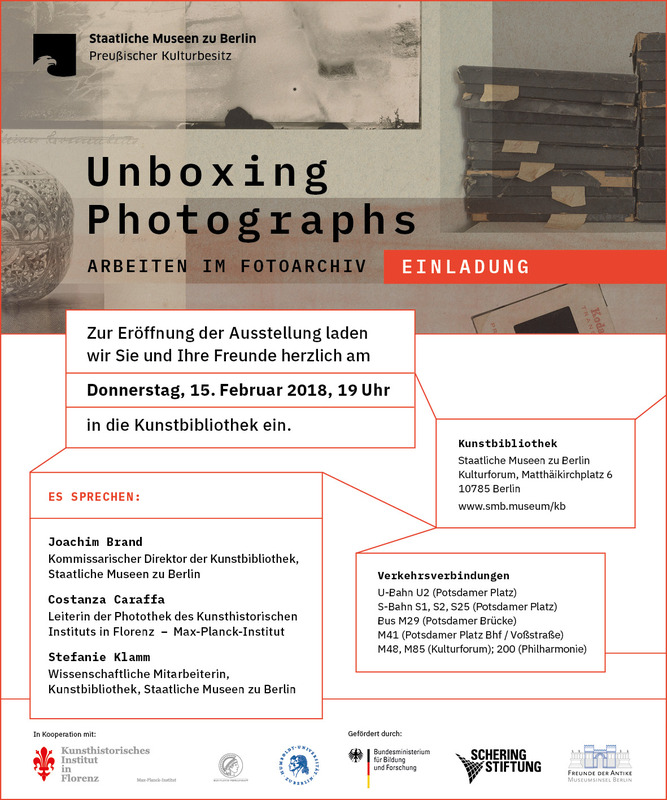 For those in Berlin, here is the invitation to the opening of the show ‘Unboxing Photographs’ that I will have work in at the Kulturforum/Kunstbibliothek. Hope to see you there. I’m developing a new installation titled More Than A Few Glimpses Of Its Charms. 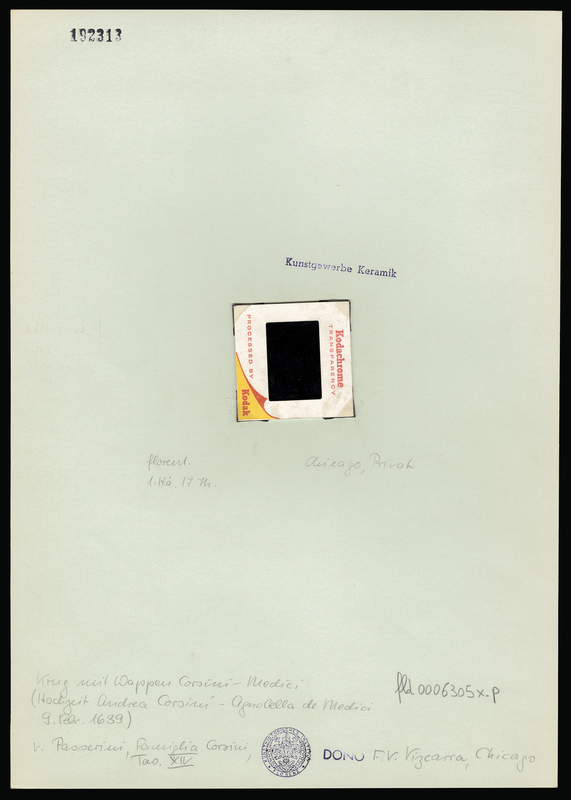 The work will be exhibited at the Kunstbibliothek, Staatliche Museen zu Berlin, from February 16 to May 27 as part of the show ‘Unboxing Photographs: Work in the Photo Archive’. More about this show below or follow this link. For those of you in Berlin: the opening will take place at the Kunstbibliothek on February 15. 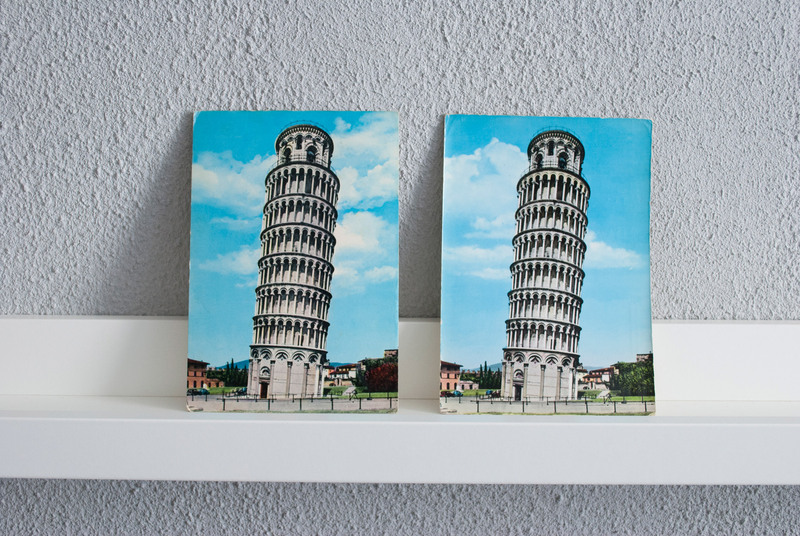 More Than A Few Glimpses Of Its Charms consists of 18 different series of found used postcards in which each series is based on the same photograph. There are 18 different photographs but together nearly 100 different postcards in the installation. The cards in each series show slight visual differences; the color is changed by age or by variations/manipulations in the print runs, sometimes there are signs visible of how the card went through the mail system or was tacked to a wall. The photos are the same, the actual objects and the meaning they had for the senders and receivers are not. 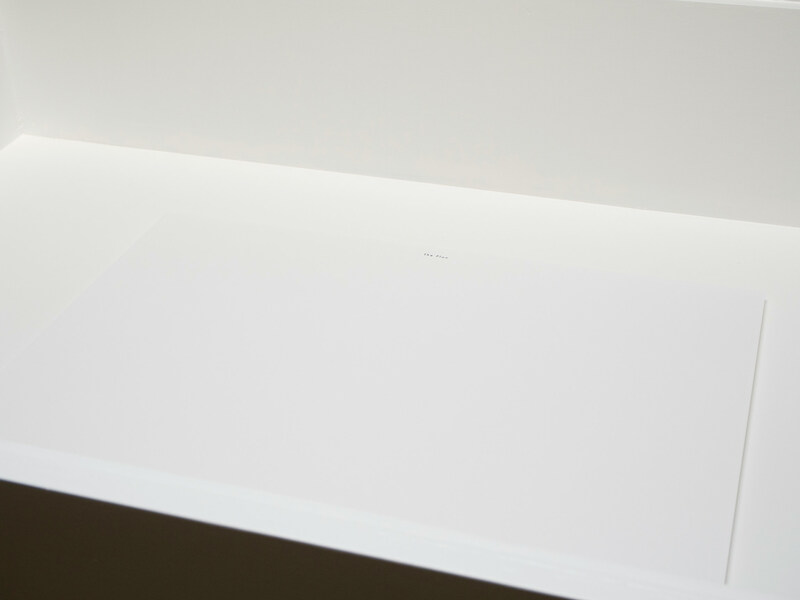 The installation is completed by texts in four languages drawn from the backs of the postcards. The exhibition opens the boxes of four photo archives to showcase the material diversity of photographs as three-dimensional objects: from glass plate negatives, to 35 mm film, to prints on albumin or silver gelatin paper. 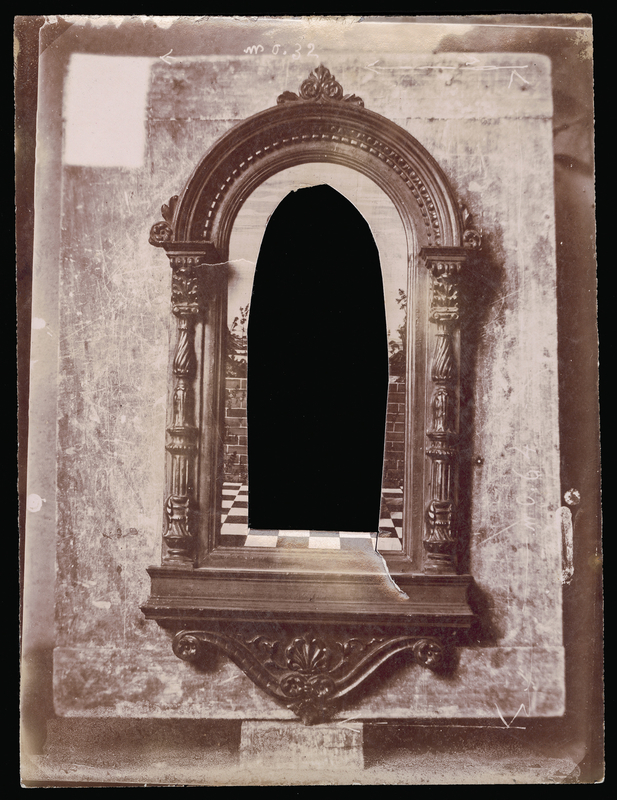 These photo-objects are taken in the hand, tilted and turned over, labeled, cut down, framed, glued into albums, printed, and dispatched or posted online. Contact and inventory sheets, cardboard mounts, card catalogs, and today even display screens are integral parts of the photo-object, or even constitute it. Since the 19th century, archaeologists, ethnologists, and art historians have worked with photographs and assembled them in archives. There, they are processed and ordered – and only through such treatment do they become usable as documents for scholarly research. These procedures alter the physical properties of photographs and leave behind material traces. Photographs, hence, are neither objective nor timeless. By taking them seriously as objects, and not just as pictures, it becomes possible to tell their multifarious stories. The exhibition interrogates the commonly practiced and disciplinary conventions that govern the perception and presentation of photographs – for example museum display using passepartouts – and tries out new design possibilities. Work with photo-objects is also central to the artistic interventions of JUTOJO, Ola Kolehmainen, Joachim Schmid, Elisabeth Tonnard, and Akram Zaatari, all of which have been integrated into the exhibition. “Speak, eyes – En zie!